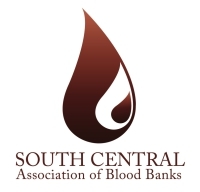 The 2019 Annual Meeting and Exhibit Show of the South Central Association of Blood Banks will take place May 30 - June 1 in San Antonio, Texas! As you can see, there is something for everyone at Engage 2019! We hope you’ll join us! The educational tracks offer a wide variety of topics that will interest those from every aspect of the hospital blood bank and blood center. There will be topics for everyone including CEOs, technologists, physicians, nurses, phlebotomists, and recruiters. Be sure to also check out the industry workshops for those unique and special educational sessions. Experience the largest Exhibit Hall outside of AABB. 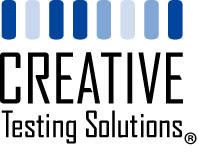 Over 50 vendors showcasing the latest in equipment and technology solutions. Cutting edge educational sessions in 3 tracks: Administrative, Technical/Scientific, and Donor Recruitment & Collections. Continuing Education Credits available from PACE, FL CE Broker and AMA PRA (Category 1 Credits™). SCABB gives you more networking opportunities than ever before. From focused Educational sessions in 3 tracks to the jam-packed Exhibit Hall. PLUS your favorite and new social events! Find like minded attendees and send messages with the mobile app. 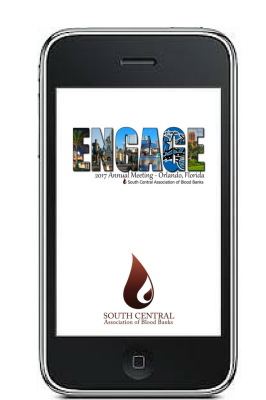 Download the South Central App for the ultimate meeting experience! Keep up to date on everything about the Association, including annual meeting, educational content and networking opportunities - right on your phone!